Bread, pasta, beer — these are some of my favorite things to consume. So imagine my dilemma when I moved in with my partner who has celiac disease and cannot share a kitchen with anyone who eats gluten. In the last two years, I’ve learned to adjust to a mostly gluten-free lifestyle. (I still drink my beer: Nobody’s perfect.) 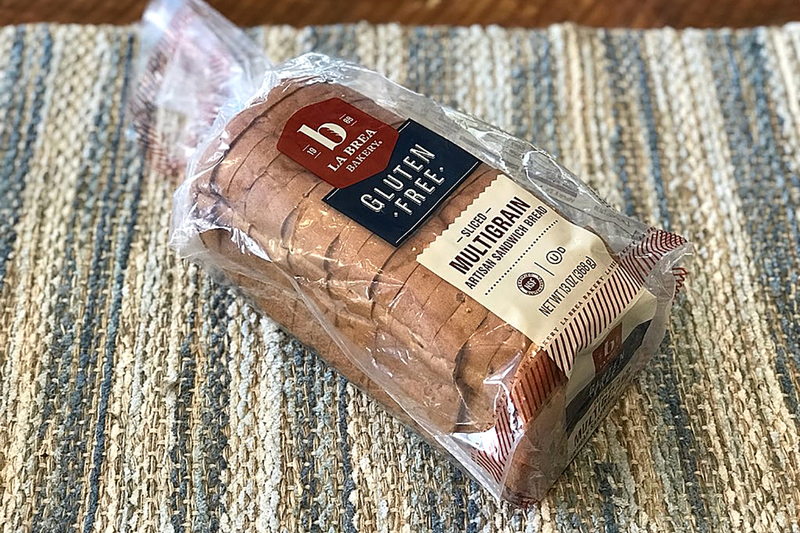 The biggest adjustment has been eating gluten-free bread, which, aside from being drier and more crumbly than regular bread, is outrageously expensive. To save on costs, my partner and I try to bake gluten-free bread from scratch in our bread maker, but that often requires more time than our schedules allow. During these busy weeks, we instead brave the frozen or health food aisles of Kroger, Trader Joe’s and Costco to find a bread that will be somewhat tolerable — because that’s how low we’ve set the bar. We have tried a lot of gluten-free bread brands over the last couple of years. They’re not all created equal. Although the six below are not perfect by any means, they have been the best in terms of taste, consistency and their ability to not crumble like a fistful of dirt when you pick them up. A quick note from an expert: Gluten-free bread is almost always better lightly toasted. If you are not in a hurry to eat your sandwich, toast your bread for at least 30 seconds before making one. This helps prevent crumbles and resolves some of the overwhelming dryness. I recently bought this bread by mistake, thinking it was a bag of Udi’s (more on Udi’s later) because it was placed exactly where Udi’s used to be at my Costco, and I apparently do not pay close enough attention. The selection was a happy accident. 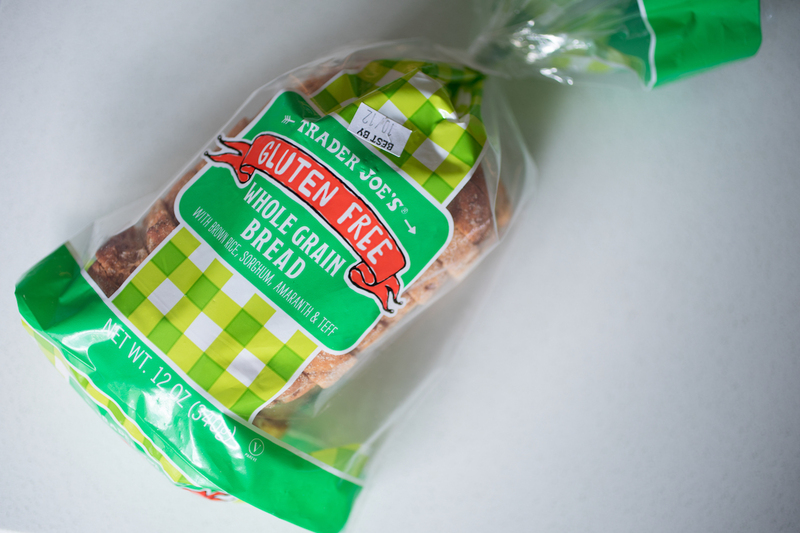 The taste of BFree Gluten-Free Sandwich Bread is nothing special. What is remarkable to me is how well it stays together — and the size of the slices. These slices are so firm they could withstand gunshots, and they’re large enough to contain the giant messes of sandwich I tend to make when left unsupervised in the kitchen. 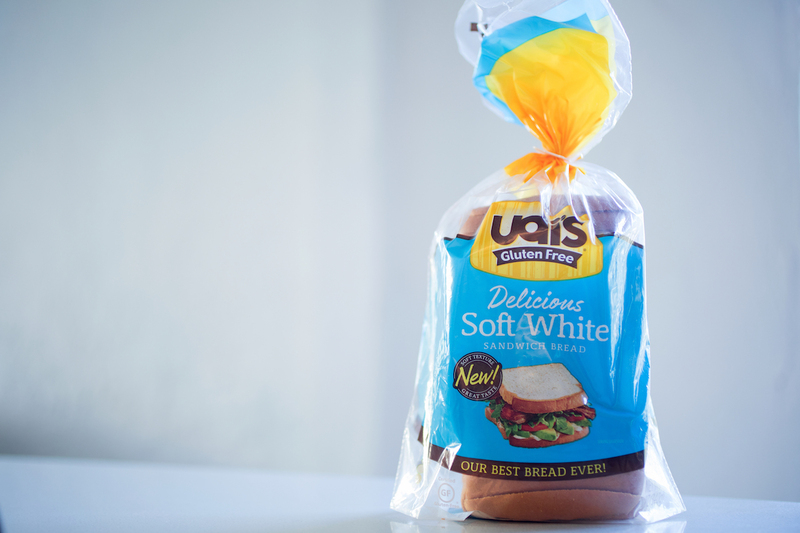 Two of the most popular gluten-free breads are spelled almost identically: Rudi’s and Udi’s. Rudy’s is, in my opinion, the lesser bread, but just barely. You can find it in almost any store (which is more than I can say for some of the better brands), but it lacks a wow factor and the slices are quite small. The bread crumbles easily and it usually takes a sip of water between bites to help it go down. However, Rudi’s offers a number of different types of bread, like cinnamon raisin, deli-style and hearty fiber. Along with their similar names, Udi’s and Rudi’s are virtually identical in terms of taste and texture. And Udi’s succeeds where Rudi’s succeeds — availability and variety. Like Rudi’s, however, it’s not the most reliably crumble-free bread. The slices are tiny and the taste is nothing noteworthy. Overall, Udi’s holds up a little better than Rudi’s and is less dry. I’m still not entirely sure how to pronounce this brand, but I grab it anytime I see it at the store — it’s that good. Unfortunately, it is not consistently carried at any store where I shop. Kinnikinnick’s gluten-free bread offers less variety than the Udi’s and Rudi’s you can find virtually anywhere, but it’s almost indistinguishable from regular bread. Sure, it doesn’t taste as good as your everyday slice, but you could fool someone who’s not paying close attention — like me while grocery shopping — into thinking it’s the real deal. And the best part? It’s slightly cheaper than some of the more easily available loaves. Who doesn’t love Trader Joe’s? They have cheap, freshly cut flowers, even cheaper bottles of wine, an incredible beer selection and quality organic foods. More importantly, they carry a really good loaf of gluten-free bread. It’s light and fluffy, contrasting the typical cardboard feel and taste of your run-of-the-mill GF breads. TJ’s version is even more convincing than Kinnikinnick’s: This stuff tastes like real, gluten-packed bread. And, like Kinnikinnick, it’s cheaper than Udi’s and Rudi’s. The lesson? Don’t fall prey to the wide availability of the most well-known brands. They’re more expensive and not as tasty. No gluten-free bread has yet earned a perfect score as far as my taste buds go, but La Brea’s offering comes pretty darn close. Yet I haven’t heard anyone talk about it. It’s like the best-kept secret that my partner and I have, and here I am spilling the beans — or yeast, rather. Why is La Brea such a great find? The bread is thinly sliced, so even when you buy a half loaf (most gluten-free breads are sold this way, and it’s infuriating), you feel like you’ve got enough for a full loaf’s worth of sandwiches. This bread is also delicious and airy and doesn’t crumble when you’re making or eating your sandwich. From taste to consistency to price, it is a fantastic GF bread investment. Sick of regular gluten-free bread? Bake these special holiday breads at home, no matter the time of year. Timothy Moore is a writer and editor in Germantown, Ohio, who loves to eat. In fact, he’s been doing it since the day he was born. His favorite foods are burgers, peanut butter, mashed potatoes, ice cream, sour cream and jalapeños — but never all together.